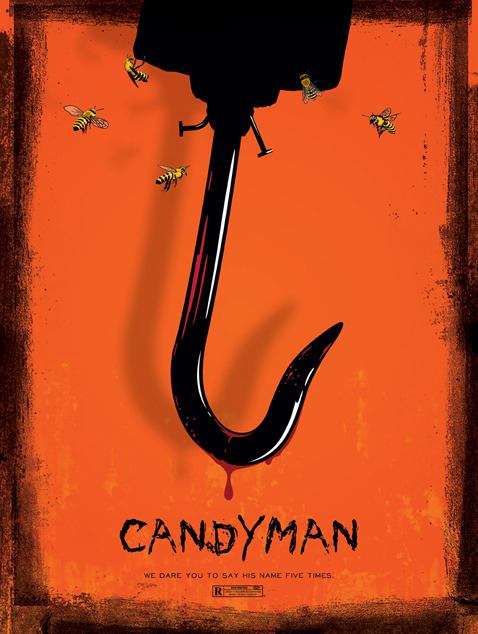 i recently had the chance to design a poster for Alamo Drafthouse’s Mile High Horror Fest screening of Candyman. 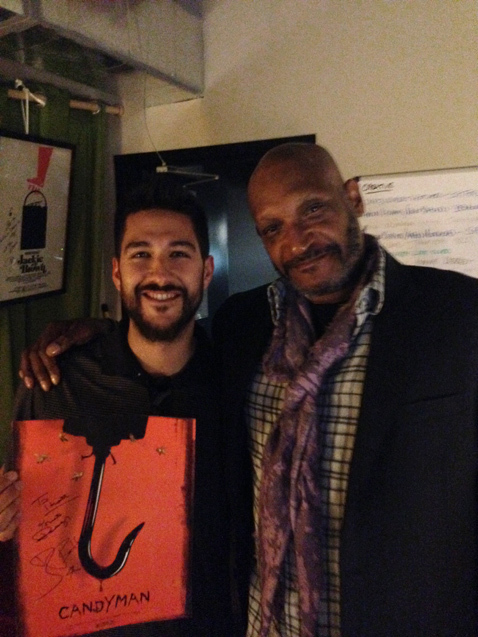 not only that, but i also got the chance to meet and hang out with Candyman himself, Tony Todd. there was a question and answer portion with Tony before the screening, then i got to tour the theater and it’s inner workings with my Alamo friends Alexandra and Walter. we then had an impromptu hang out where we briefly played a movie game, going around the room naming a movie and then an actor from that movie, then another movie that actor was in, and so on. Tony is a real cool cat. dude has extensive movie knowledge and a real love for acting. wasn’t too impressed with my poster, but hey, he personally signed one for me. small victory.